Rishabh Software, a CMMI-level 3 software-development company, will be celebrating Valentine’s day in a unique way and in the true spirit of responsibility for the society. 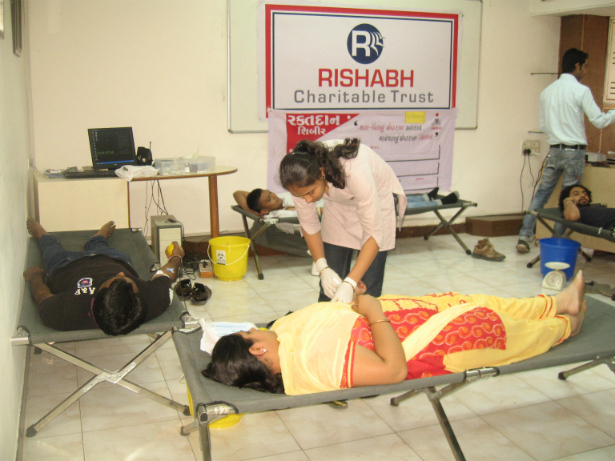 On the day which is celebrated world over for love and giving, the company’s Corporate Social Responsibility division – Rishabh Charitable Trust, will be organizing a blood donation camp in partnership with SSG Hospital. 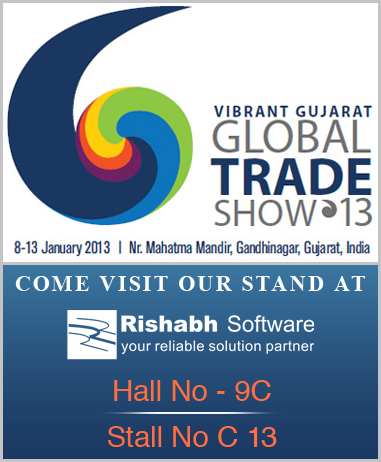 This two day event will be organized on the 14th and 15th February 2013 at Rishabh Software’s Headquarters (Vadodara, India). 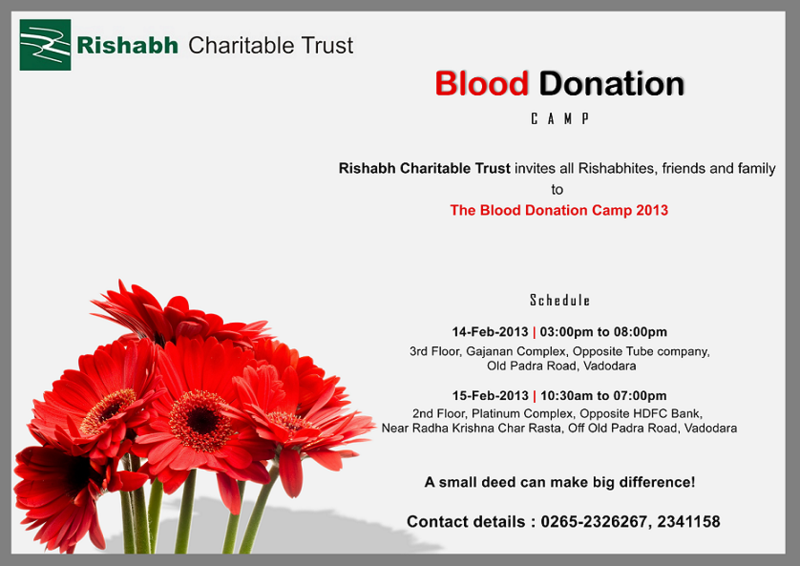 This is the 5th consecutive year that Rishabh Software has undertaken this noble cause. Last year, generous donors enabled the company to collect 121 units of blood. As the famous saying goes, “Charity begins at home.”, the employees or rather members of the Rishabh family donated generously for this cause. We aim to surpass the previous years collections in terms of units and effectively be able to save more lives. And as Valentine’s day is celebrated by expressing your love for your dear ones, we will spread love by helping save lives and in turn spreading smiles because its the best gift that you can give anyone. Rishabh Software, a CMMI level 3 company, provides services in Software Development, Business Process Outsourcing (BPO) and Engineering Services outsourcing (ESO). With offices in the US, UK and India, Rishabh Software partners with its clients to provide customized solutions. From Mobile App development to developing a CRM or just integrating CRM with SharePoint, Rishabh Software understands its client’s business inside out to suggest the best possible strategy for their business need. Since no two businesses are the same or can be run in the same way, Rishabh Software does not use the cookie-cutter approach to fix a problem. Visit: www.rishabhsoft.com or call 1-877-RISHABH to learn more about our services and how we can help you.